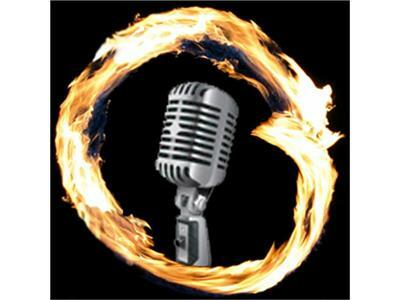 Join me on Monday, September 26th at 6 p.m. PST for Episode #12 of Radio Enso. My guest will be writer, coach, consultant, speaker, and program developer Charlie Gilkey of Productive Flourishing. About: Charlie is the captain of this small team of awesome people. In addition to guiding Team PF, he’s the chief writer, coach, consultant, speaker, and program developer. He’s currently writing a book that helps small business owners improve their businesses on the fly – or, as he might say, it helps them fix the plane while flying it. He lives in Portland, Oregon with his life and business partner, Angela Wheeler. Our mission is to help creative people thrive in life and business. We serve creative professionals, entrepreneurs, and small businesses around the world. We do this by sharing valuable content, speaking, coaching, consulting, leading workshops, writing books, and developing instructional materials. If there’s a way of getting you the information, motivation, and mojo you need to unleash your creative force on the world, we do it. Our work is routinely cited, showcased, and shared in places like Inc.com, BNET, Project Domino, Lifehacker, Copyblogger, Problogger, Zenhabits, and others. Though we do a lot of playing, we don’t mess around about what we do. Helping people thrive is our business and business is thriving. For more about Charlie's work, visit http://www.productiveflourishing.com/.